Your Volusia County Real Estate Connection to Homes for sale in Central Florida – Daytona Beach, Deland and New Smyrna Beach Real Estate. Our real estate website contains 1000’s of property listings in and around Central Florida, yet it is easy to navigate. 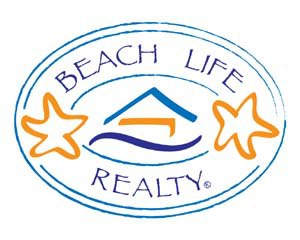 Beach Life Realty® offers residential real estate, single family homes, condos, commercial properties, income properties, REO properties, short sales and vacant land for sale in all areas of Volusia County FL. From oceanfront homes and condominiums in Daytona, Ormond and New Smyrna Beach to riverfront homes along the St. Johns river and everywhere in between. Our paid subscriptions to multiple Realtor® boards allows us to publicly display residential and commercial properties for sale and lease from Flagler County on the east coast to Clearwater/St. Pete on the Gulf Coast, with special emphasis on homes for sale in Volusia County Florida. We currently have two offices, with real estate agents standing by to serve you, located in New Smyrna Beach and DeLand FL. Our full time Volusia County real estate agents are multi-million dollar producers and have vast real estate knowledge in the areas we serve from property values to financing options. In addition to searching through our Multiple Listing Services, using the Volusia County MLS, for the latest property listings for single family homes, townhouse and condo in central Florida, you can also set up an email Listing Alert system that will notify you whenever there is a new property for sale that fits your profile. Visit our Showcase Properties page to see our most recent listings for East and West Volusia County, or our look through our Featured Properties area located at the top of all County and City pages. In addition our real estate website contains a number of specialized listings like REO’s, foreclosures, bank-owned real estate & short-sale listings. If you are an investor or custom home builder, you can also search for vacant land, multi-family residential units, and commercial real estate listings using these advanced search options. If you find a home for sale outside of the Volusia County area, we also have a network of affiliate brokers ready to handle your real estate needs. Simply send your request about a specific property, or properties, and we will immediately forward it to the appropriate Realtor ®. Let us help take the guess work out of buying a home in Florida, by finding you a qualified Florida real estate agent. We are standing by ready to help answer any real estate questions 24 hours a day, 7 days a week. Please do not hesitate to call us at 1-386-314-1862. Preparing your home prior to putting up the For Sale sign is important. It’s imperative that potential buyers are able to see themselves living in this house. Interested in Selling a Home in Volusia County, Florida learn pointers on things to do to make your house sell quicker and for more money… learn more. We will take the time to explain the entire buying process, from selection to closing, so that you’re comfortable before we begin. Interested in Buying a Home in Florida use our Property Search to see all the properties available through the local MLS that meet your criteria… learn more.